Hipersemillas.com stocks more than 70 seed banks to offer the finest variety of seeds currently available in the market. In our online store you will find more than 1,000 varieties of cannabis seeds to best suit your needs and tastes. By visiting our online store you will see that we offer feminized seeds, regular seeds and autoflowering seeds whilst always maintaining our quality of standards. You may choose between Indica, Sativa, Indica / Sativa and of course the best strains for both Indoor and Outdoor cultivation. Unless aboslutely nessesary, all cannabis seeds are delivered in their original packaging! Our goal is always to offer the consumer the best and widest variation of seeds, for this we are constantly searching for new seed banks to meet the needs of the client. You can find all the latest news in our "New products" section. Ordering at Hipersemillas.com is very easy, just browse our online shop and place the article you want to buy into your shopping cart. After finishing your shopping just click on Checkout tab. Our privacy guarantee: Opening an account is not necessary in our shop. Hipersemillas.com will never give your personal information to third parties and will only temporarily save your personal information in our highly encrypted servers. All data will be destroyed after the order is delivered. If you wish, you can even choose to receive our payment instructions and order status information anonymously and without any personel data. All of this will ensures maximum protection of your personal information. No other seed trader protects your personal data the way we do. For more details click on Privacy. We are always adding new seedbanks to our shop. 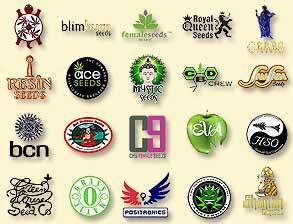 We now sell cannabis seeds from over 50 seedbanks! Lately we have included in our catalogue seeds from Greenhouse, CBD Crew, Ace Seeds, BCN Seeds, Big Buddha Seeds, Carpathians Seeds and Bulldog Seeds. All this in addition to hemp seeds from Nirvana, Dutch Passion, Sensi Seeds, Serious Seeds and much more. You will find a wide variety of regular, feminised, autoflower and indoor/outdoor seeds at Hipersemillas.com. We usually sell all our cannabis seeds in the original breeder packages. Delta-9 Labs is a Dutch seed bank with many years of experience in cultivation, some of the varieties have been specially bred or developed for medical use. Kiwiseeds is a Dutch seed bank located in Amsterdam which offers a wide variety of high quality hemp seeds and can find both for recreational and therapeutic use. The Real Seed Company was founded in the United Kingdom in 2007 by Agnus, with the intention of preserving the pure genetics of the original seeds. It is a Spanish seed bank founded in 2008 by a group of breeders, who have been conserving, collecting and cultivating their best genetics since the 1990s. We offer varieties of this bank that stand out for their flavors, aromas and effects. The Cali Connection is a Californian seed bank which was founded with the objective of offering the world the best Cali genetics through its seeds. Their mission is true genetics and they tell us "the possibilities are endless when you have the best of the best". The House of the Great Gardener is a Canadian seed bank whose priority is quality and control and have been working with "Compassion Clubs" for more than a decade gathering the medical varieties that best meet the needs of patients. This seed bank pays special attention to resin extractions, especially to obtain varieties that are rich both in terpenes and resins. The Brothers Grimm Seeds was founded in 1996 by breeders Soul and Sly. Its seeds achieved great popularity thanks to their quality, stability, potency and richness of flavors from intense tropical terpenes. The history of G13 Labs begins in the north of Great Britain at the end of the 1980s. From there came the breeders who then went to Amsterdam to share their experiences and varieties with other breeders. The owners of Fast Buds are from the United States. In 2010 they moved to Spain to found the seed bank in Barcelona. They concentrate mainly on the production of autoflowering seeds. All its varieties are extremely stable and suitable for both indoor and outdoor cultivation. Medical Marijuana Genetics is the dominant CBD seed bank. Started in the United Kingdom in 2014, they began to investigate the therapeutic properties of cannabis. Later they worked closely with breeders in the Basque Country to create a variety of cannabis strains with dominant CBD. Atomik Seeds was founded in 2006 with the objective of cultivating medicinal varieties for therapeutic use. Ten years later, numerous seeds of these genetics are offered and it can boast of being one of the first banks in Spain to have developed feminized marijuana seeds. A great selection of seed banks and varieties of hemp seeds! To satisfy the needs and tastes of consumers Hipersemillas works with and offers you a large selection of more than 1,000 varieties of cannabis seeds from more than 70 seed banks from all the best known producers i n the cannabis market such as: Nirvana, Dutch Passion, Sensi Seeds, Serious Seeds, Sweet Seeds, Dinafem oder Greenhouse Seeds. Darüber hinaus haben wir auch Sorten von neueren Seedbanks wie CBD Crew, Ace Seeds, BCN Seeds, Big Buddha Seeds, oder Bulldog Seeds. To get to the seed bank of your choice you can use the menu that is on the screen above or the search box on the top left, There you will be able to see all the seeds banks in stock where you may choose the one you like the most. To satisfy the growing tastes and needs of our consumers, we always keep an eye on new and current trends in the cannabis market, both with new banks and new varieties that are appearing in the market. Always taking into account the wishes of customers at the time of choosing, in our range of offers we have included seed banks from Countries that do not belong to the classic producers, such as Carpathians Seeds (Ukraine / Czech Republic) oder Kalaschnikov Seeds (Russia). You can pay for your order by bank transfer, Bitcoin, credit card or cash. Your order will be dispatched discretely in a neutral envelope as a registered letter, courier or express. You can find more information about shipping costs and methods for your country here. The Protection of your personal data is our top priority. We do not keep records of your order and have installed our own security systems in our shop to guarantee the protection of your personal information. New products for April at Hipersemillas.com - Click here!